﻿ Northern Data supply industrial scales throughout Scotland. 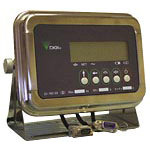 Northern Data Ltd have a long tradition of supplying weighing equipment to both retail and industrial trades. 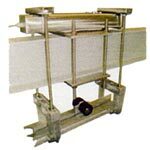 We have vast experience and knowledge which enables us to supply the necessary machines for your individual requirements. Shown below are a small selection of our vast range of industrial weighers, indicators and crane scales. Stainless steel, pit mounted platform. 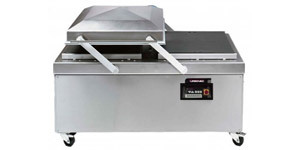 The Drive-thru platform is the ideal solution when you need a fast, convenient weighing without the need of a pit. 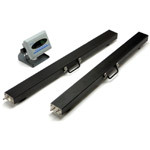 Its uniquely designed side rails house the load cells and give the scale a floor hugging profile that's easy to install and even simpler to use. You have a choice of 9 standard platform sizes -heights from 35mm to 55mm. 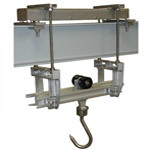 includes two 1200 mm long mild steel weigh beams and a DP90 indicator to provide the ideal combination for weighing applications where portability and flexibility are a necessity. Great for use with pallets and fork lift trucks. Plug-on modules are used to set IT1000 up for applications of varying complexity. via optional printer interface. 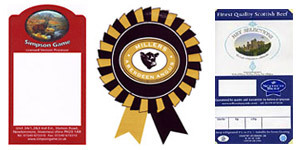 The print layout for labels or forms is configurable. Printout of weights, totals, date, time and consecutive No. via optional PC interface. Transmission of date, time, consecutive-No. and weight after each weighing cycle. W & M approved weighing terminal for counting and checkweighing of parts and counting to a predetermined quantity. Operator prompting with clearly structured menus on color screen ensures fast and error-free operation. Apart from count and weight all other application-relevant data can be captured via keyboard entry or scanner. 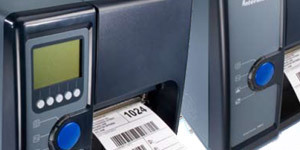 Data recording can be on strip, label or protocol printers. Print format is configurable. Optionally, all data can also be transferred to a host computer. Scales of any type may be connected to the terminal, eg floor, bench or precision scales. 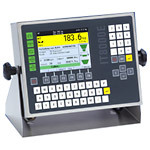 Forms the nerve centre of any weighing system, interfacing between load receptor, PC and connected peripherals, also bidirectionally, and function as an intelligent system evaluator terminal. Auto calibration, zero tracking, power off etc. 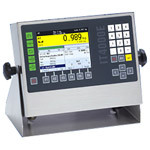 Requires PC driven software - ideal for several weigh stations. Adjustable platter height, heavy duty nylon feet suitable for wet areas and all stainless construction. Options: roller conveyor, choice of printer and bespoke software etc. Multi-range, high accuracy scale, waterproof and robust, ideal for docks and other wet areas. F.D.A. 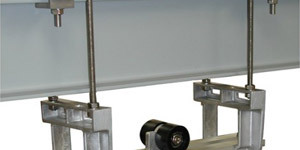 approved rubber feet, with stainless platter, frame, load cell and indicator. 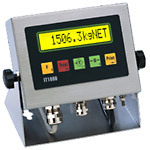 Also has a filter programme for weighing whilst in motion.Forms the nerve centre of any weighing system, interfacing between load receptor, PC and connected peripherals, also bidirectionally, and function as an intelligent system evaluator terminal. Robust and corrosion resistant suspended scale with large, easy-to-read dial. 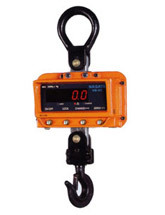 The Nagata TR series RF crane scale is composed of a transmitting crane scale and various receiving weight indicators for overhead weighing & tension tasks. The scale provides safe, precise and efficient weighing solutions for any harsh industrial environments that prohibit operator access or visibility to a scale-hook; such as invisible, dangerous, obstructive, high heat or overhead applications. With a transmission distanceup to 100m and no installation required; you just place the indicator in a safe and convenient location. The capacity ranges from 1.5ton~100 ton and the accuracy is up to 1/3000.